Gov. Malloy signs the bill into law. With bipartisan support the House this week passed the so-called “Dreamers Bill” allowing access to financial aid by undocumented college students. 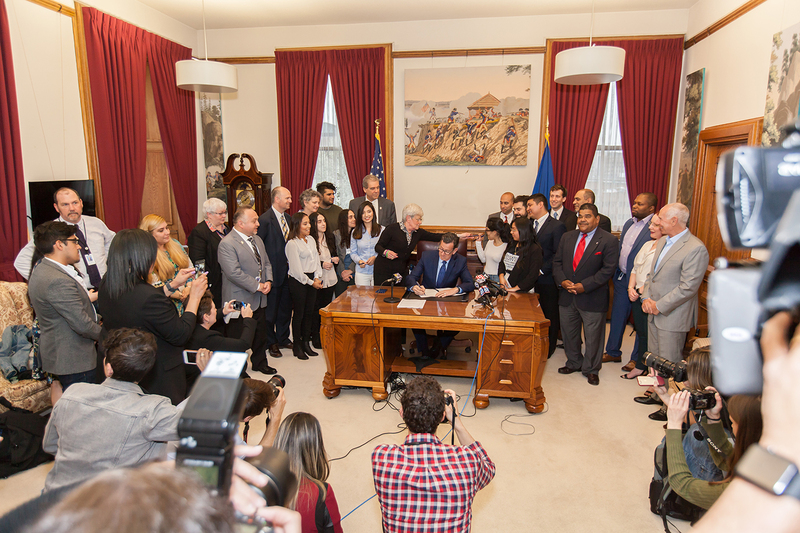 Senate Bill 4, An Act Assisting Students without Legal Immigration Status with the Cost of College, was previously approved in the Senate and signed into law by the Governor today. This is great news because financial aid at colleges and universities is funded with a portion of tuition and fees paid by students – undocumented, or not. Effective with the Governor’s signature, all students meeting specified criteria may apply for financial aid. To be eligible, students must meet certain age and residency requirements; may not have a felony conviction; and file an affidavit with their school that they intend to legalize their immigration status. This new common-sense law is fair to all students and has been a top priority in the House of Representatives for several years. 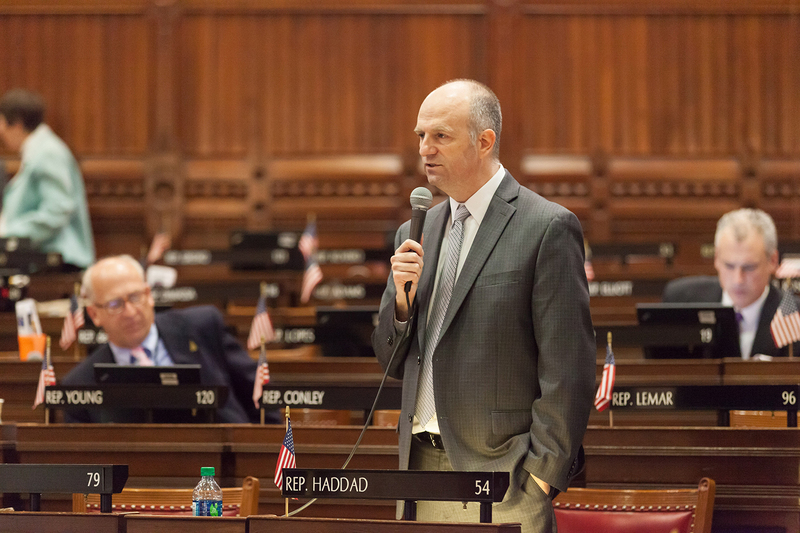 Rep. Greg Haddad debating the bill on the floor of the House.